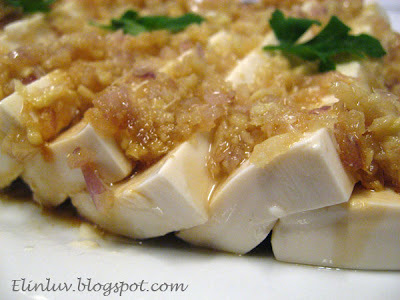 Tofu is one wonderful food item that my family loves and wouldn’t mind having them daily. 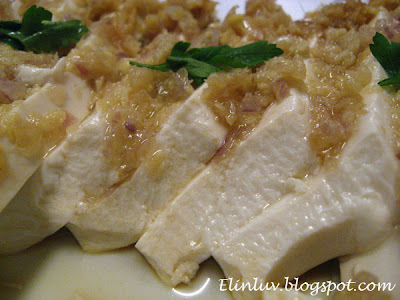 Tofu has a silky texture and blandness…..only the Chinese and Japanese can truly appreciate it. It can be prepared in so many ways and no matter how it is cooked, will still have us enthralled each time it is being served. It is cheap and its non-animal protein source make us want to eat more tofu. Also rich in vitamins, minerals and fibre and low in saturated fat and cholesterol-free. Although tofu is pretty much bland on its own, it is quite delicious when dressed up with bvarious kinds of meat, seafood, vegetables and sauces. The combination is almost endless and tofu can also be stir-fried, deep fried, steamed,baked, boiled and braised. 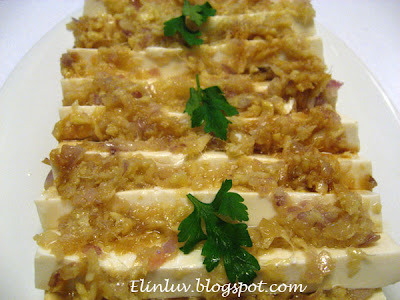 And today I will share with you , chilled tofu with ginger and onions paste topping. The aroma from the sizzled ginger and shallots paste , added to the chilled tofu..MmmMmmm every mouthful will have the lips smacking each others... really… try it to know what I mean. Steamed the tofu for a while and chilled in the fridge till required. Pound the ginger and shallots into a paste ( fine / coarse – depends on individual taste ) Mixed in 1 tsp of salt , light soysauce and some chopped spring onion ( this is optional) . Leave aside . Meanwhile,heat up the oil in a wok and poured over the ginger-shallots mixture, It will sizzles and cooked the ginger-shallots . 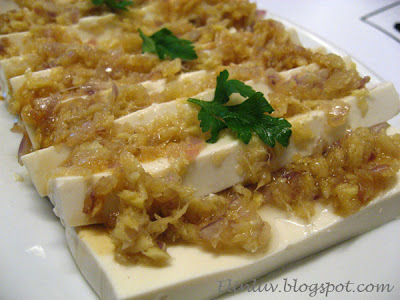 Take out the chilled tofu (you can slice the tofu into slices or as a whole block ), add in the sizzled ginger-shallots topping on the tofu top .This dish can be served as a side dish. The aroma from the sizzled ginger shallots dressing is enough to make me want to have the whole piece of tofu all to myself ! 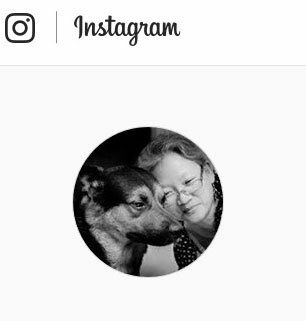 Enjoy my sharing and have a nice day ! In some Okinawa islands, people prepare their own tofu, called Shimadofu/Island tofu with clean sea water! Then they press it hard yntil very water is left. You can eat it with a fork and knife! Great pics as usual, and great presentation! Bravo!